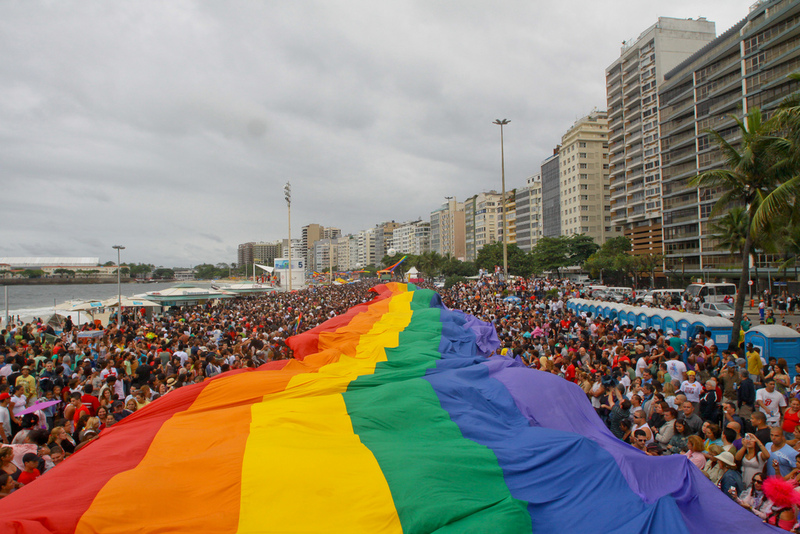 RIO DE JANEIRO, BRAZIL – This Sunday, September 30th, thousands of people will gather at Copacabana beach for the 23rd annual LGBTI Pride Parade. The event is set to begin at midday, with three separate official parties happening throughout the day and into the evening. Despite the lack of financial support from the city, more than 800,000 people celebrated the 22nd LGBT Pride Parade last year, photo courtesy of Riotur. The three official parties will all be running from 2PM-7PM. ‘Treta Festa’ (Partying) will be presenting a packed show with performances from Luísa Sonza, Funtastic, MC Nem, Armário de Saia and As Baphônicas, Gabily, Mc Pocahontas, and Lary. While, running concurrently, ‘Chá da Alice’ (Alice’s Tea) will have performances from Wanessa, Donas, and Lorena Simpson. Also occurring at the same time will be the ‘Eclética’ (Eclectic) party, featuring Meninas do Rio, Vanessa Esplendorosa, DJ Gui Ferreira, DJ Fagner Foxx, and DJ Nicole Antunes. Last year’s parade was controversially the first parade not to receive funding from the city, due to Mayor Marcelo Crivella’s opposition to LGBTI pride. For those who wish to continue partying, there will also be an official post-parade party at Street Lapa, which will also have an open bar. The main attraction of the night will be the singer Aretuza Lovi, plus DJ Marcelo Hausbich, and many others. What: 23rd Parada do Orgulho LGBTI Rio 2018!